Don't Forget About Nigeria's Elephants! In a tweet from the Kebbi State Government, Senator Atiku Bagudu called for the protection of forest elephants after three of the rare animals were seen in Koko/Besse. VIDEO: Don't Forget About Nigeria's Elephants! 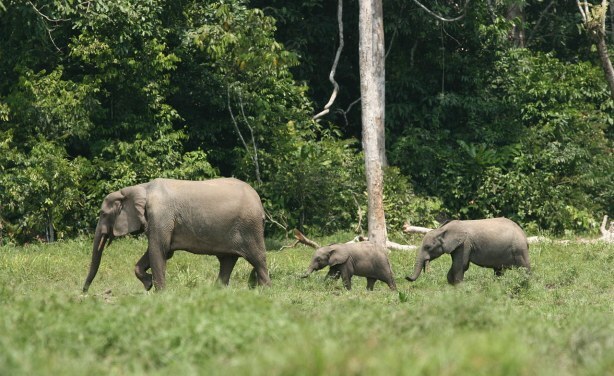 Forest elephant family group in a rainforest clearing (file photo).